CarAlarm.comOmega Enhances www.wiresheet.com for 2014! Omega Enhances www.wiresheet.com for 2014! 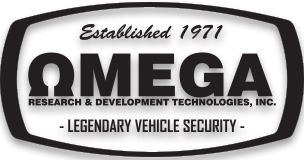 Omega Research & Development Technologies, Inc. has just released updated vehicle information on their installer support site, wiresheet.com. Product Development Manager Mike Thompson says, "Despite the fact that Omega is not an audio company, we realize that our installers need a one-stop solution for technical support whether they're installing an alarm, remote start, head unit, or headrest monitor. We take our customer support offering very seriously and, if we can do anything to save our installers time, we will." Wiresheet.com now has a full suite of audio and vehicle entertainment information for most late model vehicles. Extra remote start & alarm information has also been added to give installers more connection choices when planning an installation. Only authorized Omega dealers are granted access to help streamline the website's performance and give them the advantage they need. Visit www.wiresheet.com today & register! And, Omega hasn't forgotten about their mobile installers. All of these updates are also available on WireSheet mobile (just visit wiresheet.com on your smartphone) along with an enhanced Omegalink interface module lookup.